The Hurricanes are locked and loaded and have their sights set on bringing home another Stanley Cup trophy. Led by a gritty and devoted core, Carolina looks to reign atop of the Metropolitan division and bring hockey glory back to Raleigh. Division rivals, the Florida Panthers and the Washington Capitals will stand in the Hurricanes way. Grab your Carolina Hurricanes tickets and head down to the PNC Arena to help cheer your favorite hockey team to victory. Even though the Carolina Hurricanes have put up some great performances over the years, it seems like the former Stanley Cup winners have lost their way. The ‘Canes last qualified for the post-season in the 2008-09 campaign but were eliminated when they lost the Conference Finals series to the Pittsburgh Penguins. Since then, the team has not made it to the playoffs. Hockey fans are now curious to know if the Hurricanes will get past the regular season this time. Things may not look good for the Carolina Hurricanes considering the team has not reached the playoffs since the 2008-09 season. There is however no doubt that they have given many unforgettable moments over the years. Here are a few of those. Clinching their first Stanley Cup – The 2005-06 season of the NHL was unforgettable for the fans of the Carolina Hurricanes. During that campaign, they not only made it to the post-season but also went on to defeat teams like, the Montreal Canadiens, the New Jersey Devils and the Buffalo Sabres to compete in the Stanley Cup Finals against the Oilers. Both sides were competitive and the series was tied at 3-3. The decisive game between the Hurricanes and the Oilers was held on June 19, 2006, at the RBC Centre. That duel was won by the ‘Canes and they took home their first Stanley Cup. The Molson Miracle – Who can forget about The Molson Miracle? The Carolina Hurricanes and the Montreal Canadiens were locking horns against each other in Game 4 of the Conference Semifinals at the Molson Stadium in Montreal, Quebec. The Canadiens were leading the bout 3-0 at the end of two periods and the series 2-1. Just as it looked like the Habs were going to win the game, the Hurricanes came alive, scoring four goals to level the series. Feeding off the momentum, the Hurricanes would go on to eliminate the Habs two games later. The Carolina Hurricanes share intense rivalries with the Florida Panthers and the New Jersey Devils. Hurricanes-Panthers Rivalry – The Carolina Hurricanes have a fierce rivalry with the Florida Panthers. This rivalry between the two teams began because both sides play in the Eastern Conference. The rivalry intensified at the end of the 2007-08 season when the Canes needed to secure a win over the Panthers to clinch the Southeast Division. The Paws won against the Hurricanes. While Carolina and Washington were tied in the division, it was up to the Panthers to defeat the Caps which would lead the ‘Canes to the Division title. The South Paws lost the duel hence, knocking the Carolina Hurricanes out of the playoffs. Many believe, this is what started the rivalry. Hurricanes-Devils Rivalry – The rivalry between the Carolina Hurricanes and the New Jersey Devils began in the 2001-02 playoffs. The Devils defeated the Hurricanes in the Eastern Conference Quarterfinals, shattering their dreams of qualifying for the next round. With revenge on their minds the ‘Canes met the Devils again in the Eastern Conference Quarterfinals next year. The Hurricanes won the series, 4-2. In 2006, both teams faced each other again in the Conference Semifinals where the ‘Canes came out victorious, 4-1. This back and forth is believed to have intensified the rivalry. You won't find better stadium food on the planet than the insanely delectable offerings at PNC Arena. In the heart of the Research Triangle, the Hurricanes share the venue with NC State Basketball and there are all kinds of things to do and places to eat and drink nearby, as Moore Square and the City Market. Come down to the PNC Arena and join one of the most devoted fan bases in the NHL. You can also watch the future of the Hurricanes at PNC Arena with Hurricanes preseason tickets! The PNC Arena has hosted many sporting events. Some of music industry’s biggest stars including, Bruce Springsteen, Eric Clapton, Taylor Swift, Elton John, Justin Timberlake and Bon Jovi have performed at the venue. Plus, some popular family shows like, Sesame Street Live, Ringling Brothers and Barnum & Bailey Circus, the Harlem Globetrotters and Disney on Ice have been staged there. Eric Stall played in 690 of the Hurricanes’ 704 regular-season games after he signed on with the team in 2003. He was honored with an OHL Top Prospect Award and also made it to the OHL Second All-Star Game. Moreover, Stall set multiple records during his time with the ‘Canes including two for most hat tricks in a single season and most career post-season points. In addition, he was selected to play in his first All-Star Game in 2007. Another star player who represented the Carolina Hurricanes was Glen Wesley. He is currently the team’s Director of Development for Defensemen. Wesley is the only player who played in the ‘Canes’ first ten seasons after the team moved to North Carolina. The Hurricanes honored him by retiring his jersey number 2 on February 17, 2009. The list of the greatest players in Carolina Hurricanes history is incomplete without Ron Francis. He entered the Hockey Hall of Fame in 2007. Mentioned in the list of, 100 Greatest NHL Players, Ron is currently the General Manager of the ‘Canes. He has won accolades like, Frank J. Selke Trophy, Lady Byng Trophy and the King Clancy Memorial Trophy. Don’t miss out on the ‘Canes performance this season! The past few years haven’t been great for the Carolina Hurricanes. They will be looking forward to changing that this season. So, wear your team’s color and support them live from the stands. You can get the Carolina Hurricanes ticket prices from here. Our process for purchasing cheap Carolina Hurricanes tickets is simple and fast. There are so many online ticketing sites, that it can be hard for customers to find the right place to buy Carolina Hurricanes tickets at the cheapest price. At ScoreBig we think of our customers first and foremost. We offer daily deals for Carolina Hurricanes events, so our customers can get the best seats for the best prices. ScoreBig will always go above and beyond to offer the cheapest Carolina Hurricanes tickets on the market. The Carolina Hurricanes schedule above, displays all available events for 2019 and 2020. Once you find the event that you would like to go to, click the red “Get Tickets” button. It is located on the right-hand side of the event listing, it will take you to an Carolina Hurricanes event ticket page. ScoreBig's event ticket page will display all available Carolina Hurricanes tickets for that event. On the event ticket page to help with your search for the right Carolina Hurricanes tickets, use the filters at the top to select quantity, price range, and more. There is also an interactive seating chart so you can pick where you want to sit. When you are ready to buy a ticket, click on the listing, and you will be directed to ScoreBig's checkout page. Upon completion of the information fields, your order will be processed and your Carolina Hurricanes tickets will be delivered via email, mail, or to your mobile device. What makes ScoreBig’s site stand out from the rest? We are constantly analyzing our competitors to improve our site, service, and prices. ScoreBig.com employees strive to offer the best process and experience to buy cheap Carolina Hurricanes tickets. Our goal is to get you the best seats to Carolina Hurricanes events. We offer daily discounts on our site and for special promotions check out our newsletter. If there are no Carolina Hurricanes events currently available, you can use our search feature at the top of the page to see a list of all popular events going on near you. No matter your price point, we have all the best deals and discounts on Carolina Hurricanes tickets. For more information on prices of Carolina Hurricanes tickets and the schedule for Carolina Hurricanes, check out our listings above. The last thing you want to find out is when the Carolina Hurricanes event you wanted to go to is sold-out. Don’t worry in many cases ScoreBig has affordable tickets to sold out events. We sell tickets from GA all the way to premium seating and parking. Skip the scalpers in the parking lot and get your tickets online from top Carolina Hurricanes ticket brokers. We get you in all events, buy your Carolina Hurricanes tickets here from a brand that many trust and rely on for all their ticketing needs. ScoreBig offers a 100% money-back guarantee. If you have been in search of cheap tickets for Carolina Hurricanes, ScoreBig by far is the best option. That’s why ScoreBig has more loyal customers than any other ticketing site. 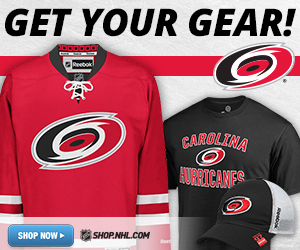 Shop at ScoreBig for safe and secure Carolina Hurricanes event tickets.